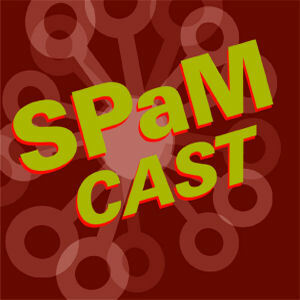 The week’s Software Process and Measurement Cast features our interview with Allan Kelly. We talked #NoProjects and having a focus of delivering a consistent flow of value. The classic project framework causes us to focus on being on-time, on-budget and on-scope, but not on-value. If we don’t focus on delivering the maximum value we are doing both our customers and ourselves a great disservice. Allan Kelly advises teams from many different companies and domains on adopting and deepening Agile practices and development in general. He specializes in working with software product companies and aligning products and processes with company strategy. When he is not with clients he writes far too much. He holds BSc and MBA degrees, is the author of three books: “Xanpan – team centric Agile Software Development” (https://leanpub.com/xanpan), “Business Patterns for Software Developers” and “Changing Software Development: Learning to be Agile”. In addition he is the originator of Retrospective Dialogue Sheets (http://www.dialoguesheets.com) and a regular conference speaker. He can be found on Twitter as @allankellynet (http://twitter.com/allankellynet) and blogs (http://blog.allankelly.net). Remember that the Re-Read Saturday of The Mythical Man-Month is in full swing. This week we tackle the essay titled “Passing the Word”! Check out the new installment at Software Process and Measurement Blog. I will be speaking on the impact of cognitive biases on teams. Let me know if you are attending! If you are still deciding on attending let me know because I have a discount code. I will be speaking on November 12th on the topic of Agile Risk. Let me know if you are going and we will have a SPaMCAST Meetup. The next Software Process and Measurement feature our essay titled, Agile Success. How do we define success with Agile? If we can’t define what success using Agile is and how we can measure it, anyone adopting Agile is bound to wander aimlessly. Wandering aimlessly is bad for your career and potentially for the careers of everyone around you! Mastering Software Project Management: Best Practices, Tools and Techniques co-authored by Murali Chematuri and myself and published by J. Ross Publishing. We have received unsolicited reviews like the following: “This book will prove that software projects should not be a tedious process, neither for you or your team.” Support SPaMCAST by buying the book here. Available in English and Chinese.